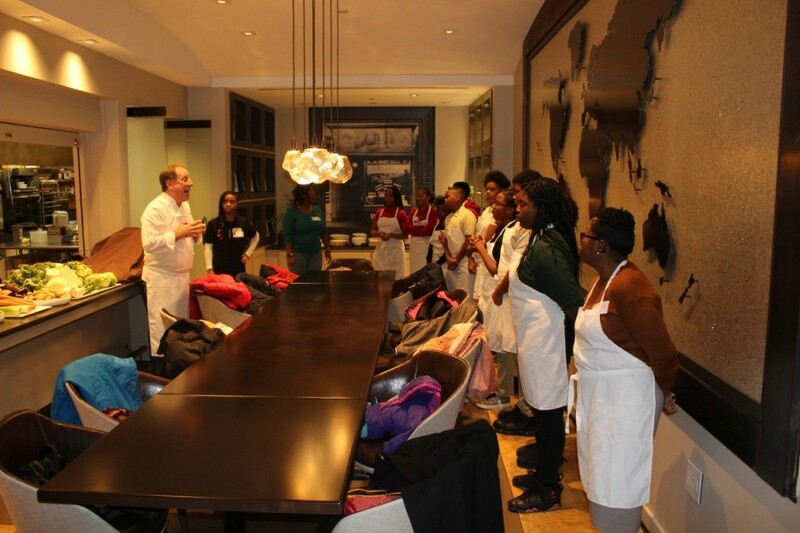 Last month, After-School All-Stars, Washington DC (ASAS DC) hosted a field trip to Marriott HQ in Bethesda, MD for a “top chef” competition. 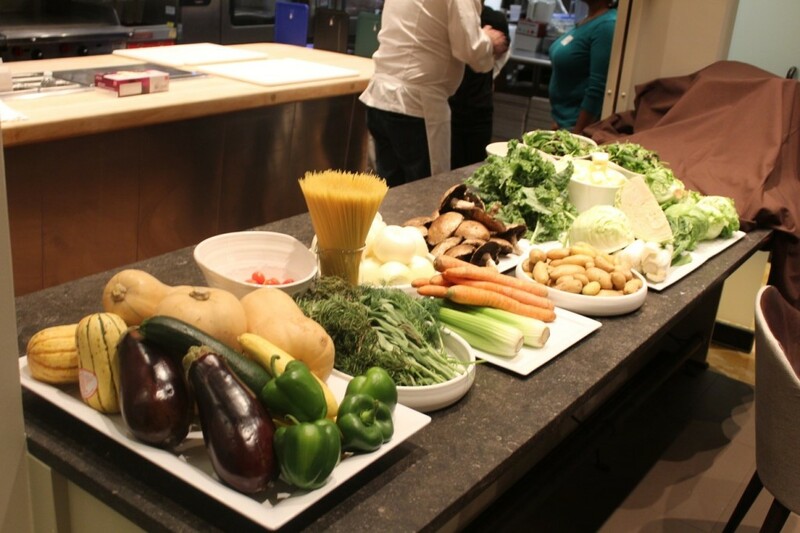 This activity was the culmination of work that students engaged in all semester in their ASAS DC cooking classes. Thirteen students from three schools – Stuart-Hobson Middle School, Leckie Education Campus, and Charles Hart Middle School – participated in the competition and they expressed a combination of excitement and confidence leading up to the event. The group from Hart, in particular, remarked that they wanted to do a great job to “represent well for Hart and Southeast” – and that they had faith in their ability to win. The students and their ASAS DC instructors arrived at the Bethesda office and immediately went down to the kitchen area. They were greeted by various Marriott staff and Chef Brad Nelson, VP Global Operations in Marriott International?s Culinary division. Brad facilitated the event and provided instructions to the students. He spoke about his connection to cooking and why it is important for young people to learn it as a necessary skill. And he laid out the rules for the competition: students would have 45 minutes to create two plates for judging, using only the ingredients presented to them by Marriott. Brad and his colleagues also revealed 2 “secret” ingredients: boneless chicken breast and cauliflower. He urged the students in their preparation to “think about flavor, being creative, and what you would like to eat yourself.” Brad eloquently explained that to him “food is about family, hospitality, and sharing” and that was the backdrop for the competition that followed. Ultimately the top 3 teams were selected by the judges and chef Brad, based on a combination of presentation, creativity, and overall taste. One of the teams from Stuart-Hobson came in 3rd place, another pair from Leckie was given the 2nd place award, and two young ladies from Hart Middle School took home the 1st place trophy. These accolades will go back to their respective schools to be displayed. 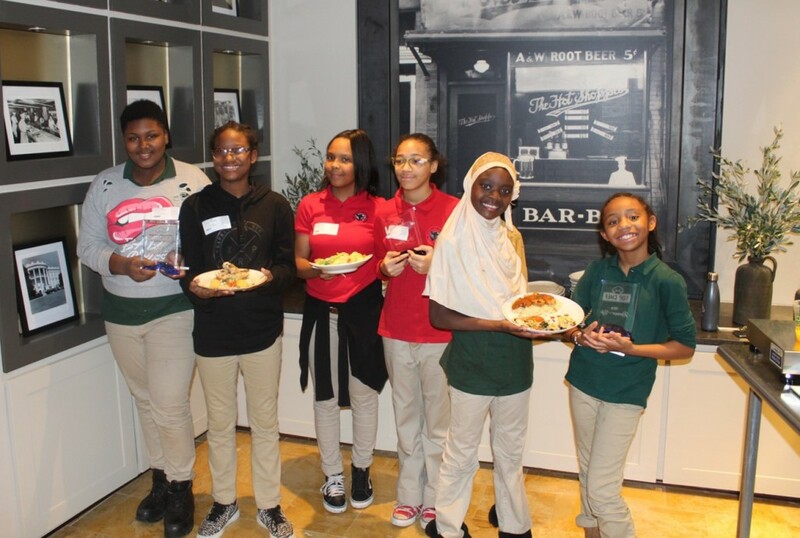 In the end, as one of the judges noted, all of the students here were winners,” and each participant was given a culinary-themed parting gift courtesy of ASAS DC: chef aprons and hats, two cookbooks, and a slate of cooking utensils to help them create their own meals in the future! As a non-profit that provides free after-school programs to low-income DC middle schools, we place a high value on life-skills, teamwork, and career exploration. All three of those important principles were brought to bear at Marriott, and we have their dedicated professionals and our students to thank for that! Students left in extremely high spirits, excited at the possibility of participating in this competition next semester. Our staff reported that the bus transporting students from Hart sang the entire ride home, a fitting conclusion to a successful field trip! 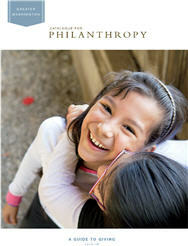 This entry was posted in Education, Guest Blogger, Local, Philanthropy by Catalogue for Philanthropy. Bookmark the permalink.